I'm sure many of you are just as appalled as I was to see that Google is going to "retire" Google Reader - what!!! I don't know what I'll do as an alternative yet and will be looking out for some good advice. I have also put messages on Google's forums. While I don't have a lot of hope that Google will relent, it would be great if you also expressed your views as Google users. Everyone seems to be moving over to Bloglovin, so that's an option. I don't use Google Reader, preferring my own Blog list. I can keep up with favourite blogs better that way. Excuse me making a comment, I'm not sure how I got onto your blog. The mysteries of technology defeat me sometimes. 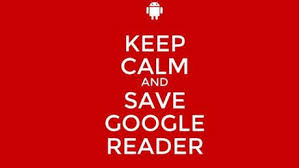 I don't use Google Reader. I use the reading list on my Blogger Dashboard. I'm not sure if that will be affected (rumor has it that it won't affect the dashboard OR GFC but who knows). I figure now is a good time to get a back up- so I also moved my lists to Bloglovin' and am encouraging my readers to follow me there. I used bloglovin and feedly. But I find feedly easy to read blogs. I made a review about it . If you have the chance, I'd love for you to stop by. The big but is that feedly do not have a follow button like bloglovin. Maybe try both and see which one works for you. How do you reward your loyal supporters?